We will introduce you to Durham and show you how it has been shaped by history! The Tour will cover Durham from its earliest history and include its Golden age of the Medieval Bishops of Durham through to the modern day. 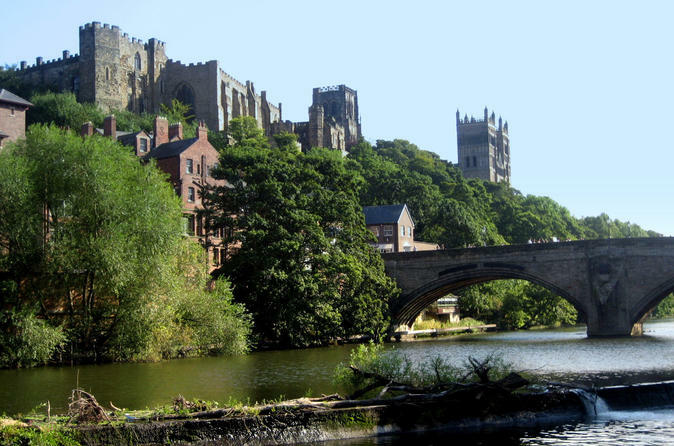 This tour is one of the best ways to see Durham during a visit to the North East. This tour is takes around two hours. All weather clothing will be required and sensible walking shoes as this tour goes through Durham City and the ground underfoot can be uneven. Weather is also changeable in North East England. The terrain in Durham City and around the Castle and Cathedral can be steep and uneven. This tour may be unsuitable for those who are recovering from injuries or those who do not feel comfortable on longer distance walks. If you have any other questions please do contact us, we are happy to answer your questions. We look forward to showing you Durham shortly.